For a once-in-a-lifetime luxury camping experience, look no further than La Roseraie. This pretty campsite encapsulates rural French life. From the nearby beach to the lush forests that surround the camp, each day spent here is a relaxing one. 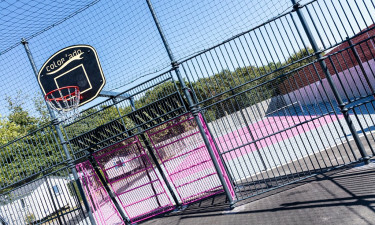 Located on the west coast of France, there are no big cities in this area, only quaint seaside towns and villages. With everything you need on-site, make sure to book your dream camping holiday with LuxCamp. Visitors to this scenic luxury camping site will be wowed by the entertainment, services, and activities on offer. With comfortable mobile homes and friendly staff, La Roseraie knows how to make your holiday stress-free. 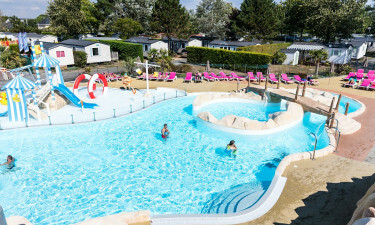 Why choose Camping La Roseraie? From babies to kids, teens and adults, this site is designed for all. 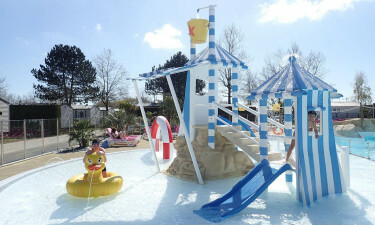 Kids will have a hard time containing their excitement when they see the pool at La Roseraie. It has a play area with slides, but adults won't miss out: you'll find water polo and aquafit too. Just 2km from your mobile home, you can find a clean, sandy beach that stretches for miles. It's the ideal spot for swimming, sunbathing, or exploring the area. Kids can build sun castles while parents relax with a book.